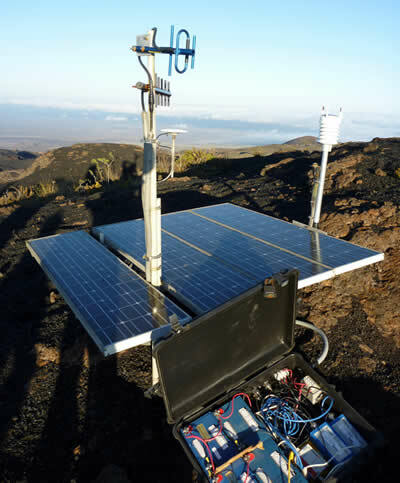 The second and final phase of the GPS network upgrade at Sierra Negra volcano on Isabella Island in the Galapagos was completed in November by a field team of four from U.S. and Ecuadorian institutions. The continuous GPS network has been operational since 2002 when six permanent sites were installed by UNAVCO. Subsequent network upgrades with UNAVCO support in 2006 and 2009 have expanded the network to 10 permanent continuous GPS sites. The goal of the last field visit was to complete the upgrade of all sites with new telemetry, power system, and GPS instruments. Much of this work was completed on a previous trip in June, 2010. During the three week trip the field team successfully negotiated the treacherous lava flows and steep terrain to complete the upgrades. Sierra Negra is one of the most frequently eruptive volcanoes in the Galapagos archipelago and most recently erupted in October, 2005. GPS data from the Sierra Negra network show increasing uplift rates prior to the 2005 eruption, and decreasing uplift since the eruption. The Network also recored a faulting event that produced surface offsets of over half a meter in the months prior to the 2005 eruption. Continued GPS study of Sierra Negra volcano provides potential for significant new understanding of volcanic processes over the years and decades to come. 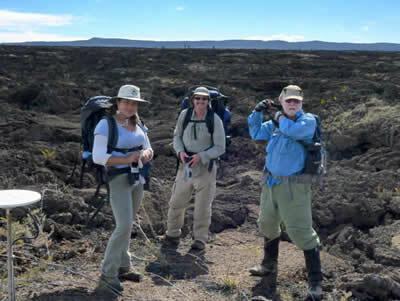 Figure 1 - Project participants Miryan Paredes (Polytechnic Institute of Quito), Dr. Bill Chadwick (Oregon State University), and Mark Piersol (University of Idaho) at a GPS site in the caldera of Sierra Negra volcano. Photo by Brendan Hodge (UNAVCO). 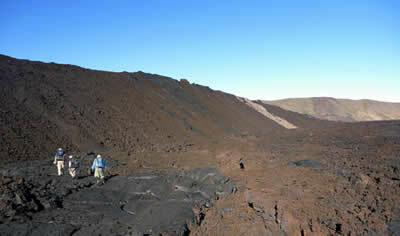 Figure 2 - Team members negotiate the 2005 lava flows on the way to the caldera rim (center right) of Sierra Negra volcano. Figure 3 - A completed permanent GPS site on Sierra Negra volcano.